Brandon Stansbury, Phantom regiment's 2002 conductor and tour manager from 2003-present, submitted this one. "These pics were taken at our housing site in Fremont, Calif., at Ohlone College in June. The scene was really cool. 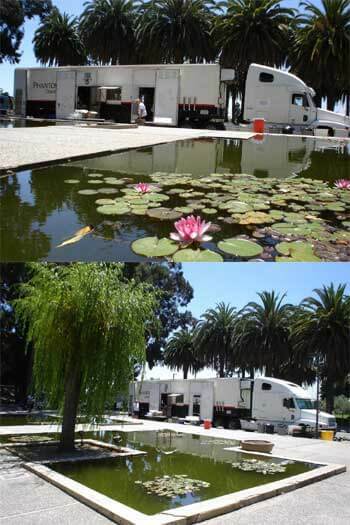 Our food truck was surrounded by these large Koi ponds and huge eucalyptus trees." Thanks Brandon!